Yes, there is a monthly subscription offer buried within Windows 10. To play Solitaire. Netflix charges you $7.99 per month for thousands of streaming movies and TV shows. Spotify, Slacker, Rdio and others charge about $10 per month for unlimited music. And Microsoft? They want you to pay $1.50 per month to remove ads from Solitaire. 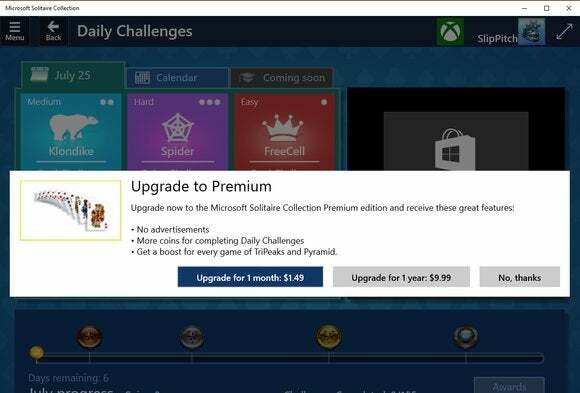 To be fair, Microsoft made the same offer for Solitaire Premium Edition within Windows 8.1. There, however, the app was found within the Microsoft Store (at least on the PCs I’ve owned). On Windows 10, Solitaire has enjoyed a much more prominent role within Microsoft’s new operating system, and has been part of the builds users have been able to download in advance of the launch. 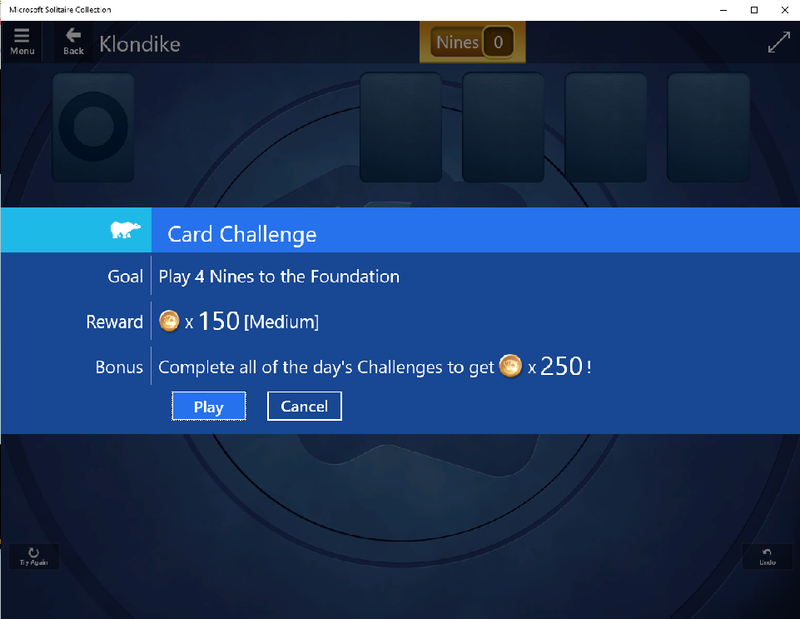 A daily challenge within Microsoft’s Solitaire Collection Premium Edition. So what does $1.99 buy you? As the splash screen notes, that fee will strip ads from the Solitaire experience; add more (valueless) coins to the rewards for completing Daily Challenges; and get a “boost” for every game of TriPeaks and Pyramid, two versions of Solitaire found within the app. 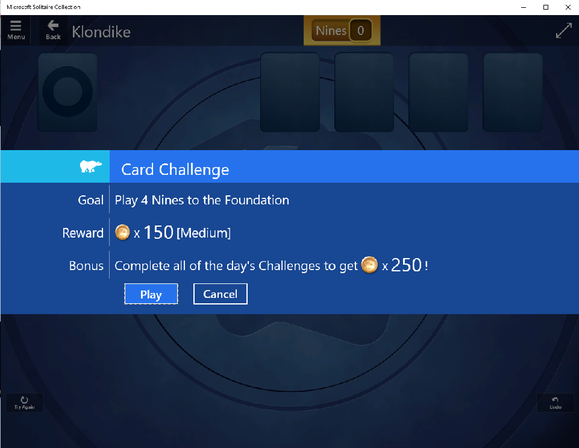 To Microsoft’s credit, there are no distracting banner ads within the Solitaire playfield itself, just an annoying full-screen video advertisement that appears when the Challenge options are loaded. Granted, there is absolutely no reason for ads to appear within Solitaire itself, unlike some mobile apps. Any advantage can be welcome in Solitaire—having played TriPeaks for 15 minutes (I was working, honest! ), I cleared a board just by the skin of my teeth. Apparently Microsoft thinks others will trade the price of a small coffee for an easier time of it on their lunch break. Why this matters: Honestly, if you want to pay for more energy in Farmville or an upgraded weapon in some online shooter, it’s your business. But it does seem a bit odd that Microsoft can make Windows 10—an entire operating system, mind you—a free upgrade, while asking you to pay to remove ads. If this is the future of Windows as a service, count me out.